Last fall, the American Board of Medical Specialties (ABMS) approved a medical subspecialty in clinical informatics. The approval of this subspecialty is a recognition of the critical professional role played by clinical informaticians. As information is so critical to 21st Century medicine, whether in the need for healthcare to be more accountable for its operations or in the coming complexity of clinical decision-making from the data "tsunami" due to advances in genomics and related areas, there will be increasing need for those who work at the interface of medicine and information systems. Although administered by the American Board of Preventive Medicine (ABPM), the subspecialty will be available to all physicians who have a primary board certification, which is a first for medical subspecialties. The first offering of the examination will likely take place in late 2012 or early 2012 for those who meet the criteria for "grandfathering" of the training requirements. In the long run, physicians wanting to subspecialize in clinical informatics will need to complete formal fellowship training. The motivation for physician certification in informatics is to recognize the growing stature and need for professional expertise of physicians who spend a significant amount of their time performing informatics-related duties. This includes not only the growing role of the Chief Medical Informatics Officer (CMIO), but other jobs where a physician draws on his or her expertise at the intersection of medicine and informatics. A great deal of further information is available about this development. The American Medical Informatics Association (AMIA), which spearheaded the effort, has developed a subsite of its website devoted this effort. The site includes a background document, the original press release announcing the ABMS approval, a collection of frequently asked questions (FAQs), and an article by AMIA President Dr. Ted Shortliffe. I report on this topic periodically in my own blog as well, and an audio report from the iHealthBeat website is also informative. The "gold standard" for any type of certification of physicians is board certification. There are currently 24 specialty boards (e.g., internal medicine, family medicine, pediatrics, surgery, radiology, preventive medicine, etc. ), most of which have subspecialty boards as well (e.g., cardiology, hematology/oncology, and general internal medicine in internal medicine). Some subspecialties, such as geriatrics and palliative medicine, are offered by more than one specialty board. This will be the model for the clinical informatics subspecialty, and in fact it will be offered by all 24 specialty boards. A comprehensive overview of the rationale and plan for developing the clinical informatics subspecialty was published in early 2010 by Detmer et al.1. This paper described the development of medical specialties and subspecialties generally and in the context of the new proposed subspecialty of clinical informatics. A more recent overview of the status board specialties was published last year and included mention of the proposed one for clinical informatics.2 Papers published in 2009 laid out the details of the core curriculum 3 and training requirements 4 for the subspecialty. The proposal to establish the clinical informatics subspecialty was developed by the American Medical Informatics Association (AMIA) and submitted to the ABMS in 2010. The lead board submitting the proposal was the American Board of Preventive Medicine (ABPM), which has since been joined by the American Board of Pathology. These two boards will be the administrative home for the subspecialty although as noted above, physicians of all primary specialties will be able to become certified. Certification in clinical informatics will work like any other multi-board subspecialty. To become certified, a physician will need to meet certain training requirements and then pass a certification exam. In the early years (usually the first five years of a specialty's existence), those with a certain level of experience will be able to "grandfather" in on the training requirements in a "practice track" and certify by passing the exam only. Those training after the initial practice track period will be required to complete some sort of fellowship in the specialty. The practice track requirements for clinical informatics will be determined after the ABMS approves the subspecialty and will likely apply to those with some defined level of time and depth of experience in clinical informatics settings. Now that the ABMS proposal has been approved, the ABPM will begin development of a certification exam, which will likely become available in the fall of 2012 for those meeting the practice track requirements. The next step will be to define the requirements for clinical fellowships in clinical informatics and their accreditation by the Accreditation Committee for Graduate Medical Education (ACGME), which accredits residency and specialty fellowship training programs. Even though the process for establishing the subspecialty is well-defined, a number of questions remain. One question is how many health care organizations and others will require their physician-informatician practitioners to be certified. Another question, very critical to academic informatics units, is what will be the role for formal didactic education, especially that offered by distance learning. Programs such as ours at OHSU have been a popular vehicle for physicians and others to become informatics practitioners. The distance learning aspect has been especially valuable, as many clinicians enter informatics careers after they have established their clinical careers. The graduate-level education approach has been validated by the strong uptake of these programs as well as the more recent funding for them though the Office of National Coordinator for Health Information Technology (ONC) University-Based Training (UBT) Program, including the program I direct at Oregon Health & Science University (OHSU). I am hopeful that ACGME will adopt flexibility in the clinical informatics fellowship program educational programs, including possibly allowing organizations like OHSU to provide the coursework portion of the training requirements in settings where a large educational infrastructure is not available. Although there are a number of details still forthcoming, this new development is an exciting one for the informatics field. AMIA is also developing other pathways for comparable certification not only for physicians who are not eligible for ABMS certification but also for informatics professionals of other backgrounds, both clinical and non-clinical. All of these will contribute to the critical role that informatics plays in the 21st Century health care system. Detmer, D., Munger, B., et al. (2010). Clinical informatics board certification: history, current status, and predicted impact on the medical informatics workforce. Applied Clinical Informatics, 1: 11-18. Cassel, C. and Reuben, D. (2011). Specialization, subspecialization, and subsubspecialization in internal medicine. N Engl Journ Med, 364: 1169-1173. Gardner, R., Overhage, J., et al. (2009). Core content for the subspecialty of clinical informatics. JAMA, 16: 153-157. Safran, C., Shabot, M., et al. (2009). ACGME program requirements for fellowship education in the subspecialty of clinical informatics. JAMIA, 16: 158-166. 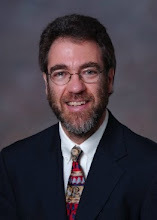 This post by William Hersh, MD, FACP, Professor and Chair, Department of Medical Informatics & Clinical Epidemiology, Oregon Health & Science University, originally appeared at his blog Informatics Professor, where he posts his thoughts on various topics related to biomedical and health informatics.